Our 18-hole championship golf course was designed by the acclaimed course architect Jay Morrish, who won the Golf Course Architect of the Year award in 1991,the same year he began work here. Bent Creek has the distinction of being the onlynortheastern course designed by Morrish. The course has been praised for its beautifully-manicured, highly-challenging design. For professionals or high-handicap beginners, Bent Creek offers a rewarding golf game. The course is par 71 from all four sets of tees, and has a yardage range of 5,289 for women and 6,750 for men. 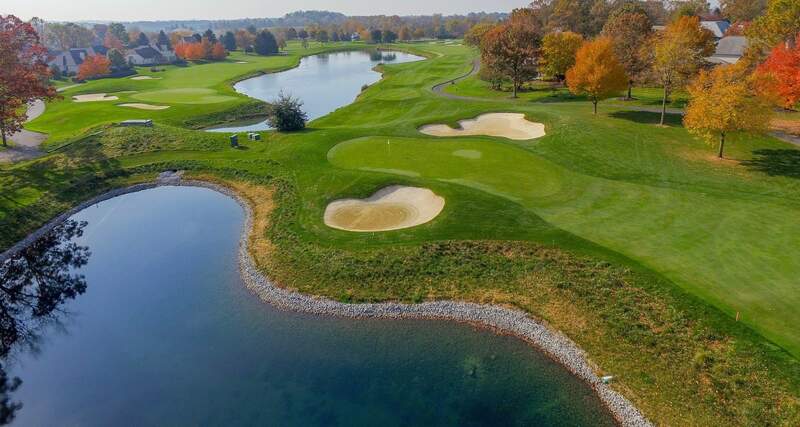 It is a course that has been designed to be easy to walk, featuring the visual appeal of gently rolling hills, beautiful lakes, and a meandering creek. The playing surface consists of bent grass greens, fairways, and tees. For more information on Bent Creek Golf, please contact the Golf Shop by Phone: 717-560-9461.